2008 Selle Francais gelding, 16.2hh. Impressive show record in France. Currently winning at 1.35m. 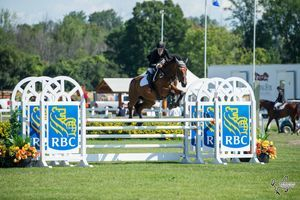 Good ribbons at 1.40m and modified GP. 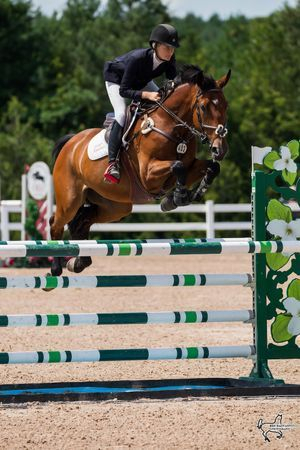 Suitable high J/A Jumper, potential young rider horse or future Grand Prix horse. Uncomplicated, carries his rider to the jump, scopey, brave, careful and fast. Current clean set of digital x-rays. 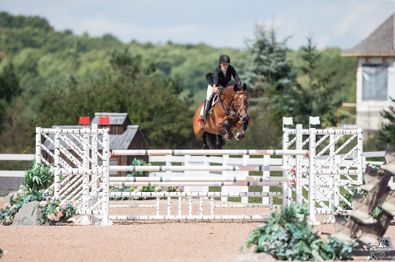 Qualified for 2016 RAWF J/A 1.40m Canadian finals. Many big wins in the high amateur Jumpers and Modified GP's 2017. Low six figures.